Heat the oil then add the onion, garlic and coriander seeds. Sweat down till the onions are translucent. Add 1 cup boiling water and all the seasoning and spices. Add the butternut and carrots then top up with 1L of boiling water. Keep adding water till all the veggies are soft. Remove and blitz with a stick blender till smooth. Return the pot to the stove, bring to a gentle boil and add the coconut milk. 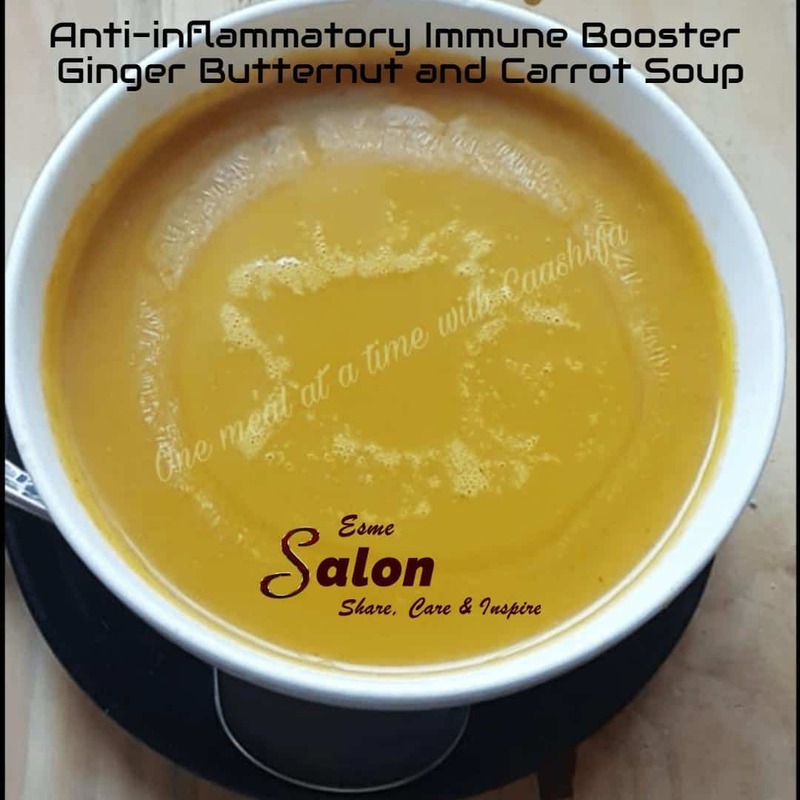 This soup sounds so very good and brings health as well. Hi Sheryl, Thank you so much for your compliment. I hope you will try it and enjoy it as well. This soup sounds so delicious, Esme!